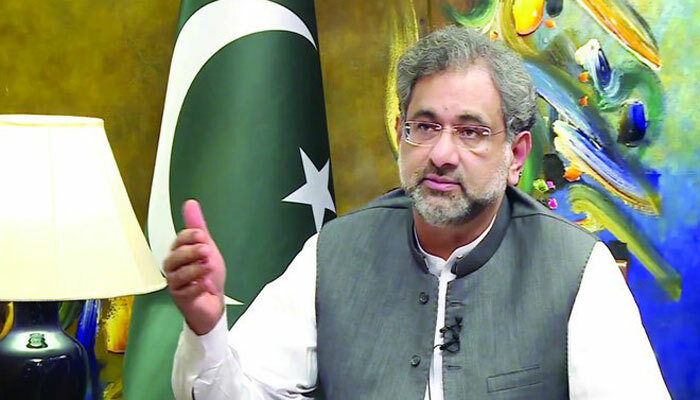 ISLAMABAD: Prime Minister Shahid Khaqan Abbasi has said the days of Pakistan’s dependence on the US to meet its military requirements have ended. “We have major US weapons systems in our military, but we’ve also diversified [our arsenal]. We have Chinese and European systems. Recently, for the first time we inducted Russian attack helicopters,” Abbasi informed. Responding to a question, the premier said that US’ newly devised policy to include India for peacebuilding in Afghanistan will be detrimental for the region. “We don’t believe that injecting India into the Pakistan-US relationship will help resolve anything, especially in Afghanistan, where we don’t see any role for India. India has a relationship with the US, and that is between them and the US,” Abbasi said. He added that Pakistan wants an ‘equal relationship or partnership with the US, like every other nation’ and wants to work with Washington in resolving regional and global issues ranging from the ‘economy to nuclear matters’. He said that in his speech at the United Nations General Assembly (UNGA) and side meetings, he stressed that nobody wants peace in Afghanistan more than Pakistan. "We’re partners in the war on terror, and that’s what we emphasised. We emphasised to everybody we met [at the UNGA] that nobody wants peace in Afghanistan more than Pakistan”. He disclosed that investigations showed that the person who carried out a suicide attack on deputy chairman of Senate in Mastung, Balochistan on May 12 was an Afghan national who had crossed the border for the attack. “The reality today is that much of the area bordering Pakistan is controlled by the Taliban. The people we’re fighting in Pakistan today, their sanctuaries are in Afghanistan, their leadership is living there, the planning is done there, the logistical bases are there, and they regularly cross the border and attack our installations. We recently had a suicide attack on the deputy chairman of the Senate. He survived, but 22 people were killed. It was by an Afghan national who had crossed the border to attack his convoy deep inside Pakistan,” he said. He called his meeting with US Vice President Mike Pence, ‘very constructive’. “There was no meeting scheduled (with President Trump). In fact, the meeting with Vice President Pence wasn’t scheduled [either]. It was at their request,” the prime minister said.